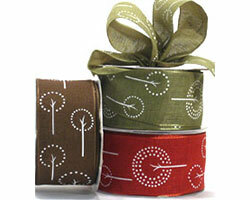 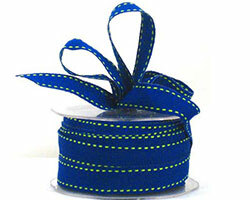 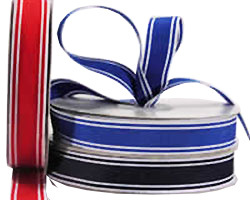 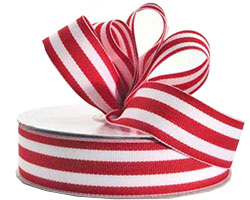 A versatile striped narrow, woven ribbon. 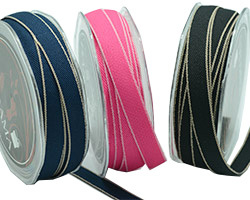 Available in the following great range of colours: Black/White, Pale Blue/White, Lime/White, Taupe/White, Red/White and Pink/White. 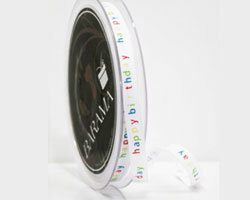 A happy, multi coloured 'happy birthday' print. 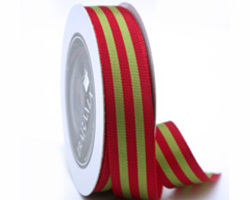 A striking narrow ribon in contrasting colours. 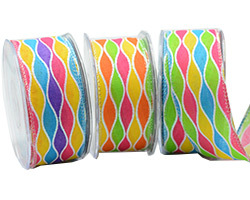 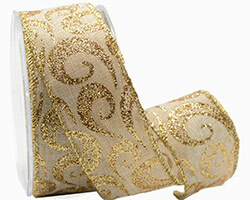 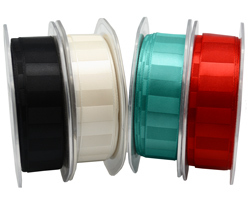 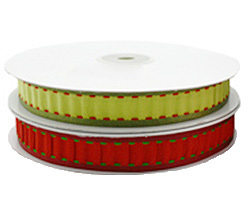 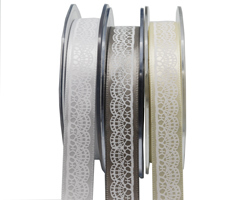 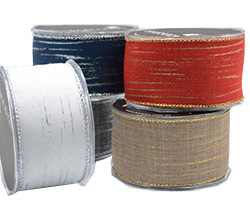 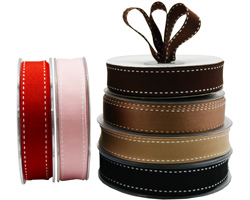 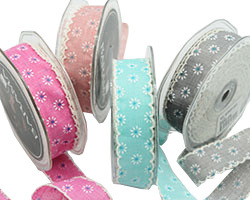 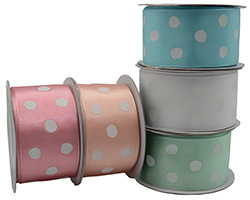 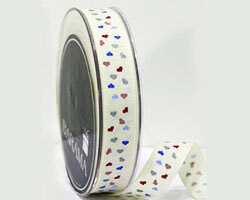 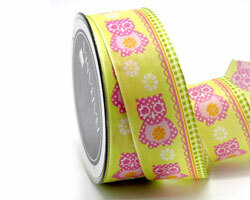 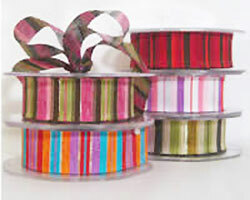 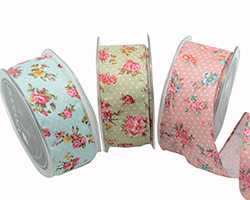 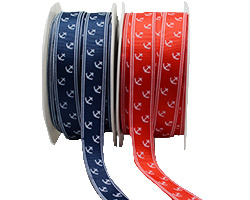 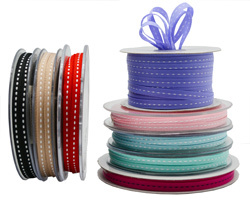 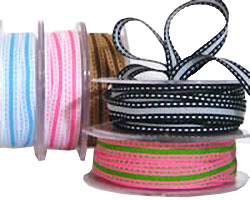 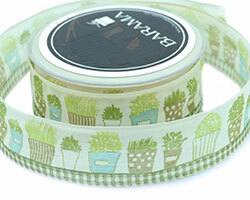 A 10mm grosgrain ribbon with coloured fine dots. 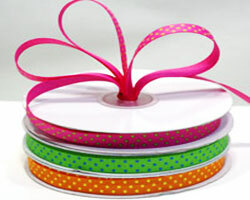 Available in the following great colours: Orange/Yellow dots, Hot Pink/Lime dots & Apple/Blue dots. 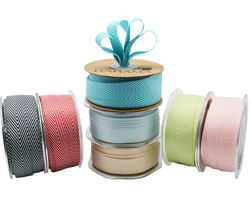 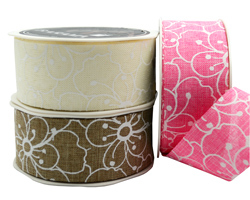 Beautiful textured ribbon in modern pastel shades. 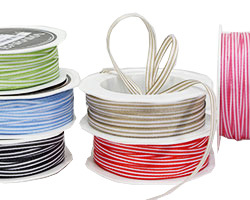 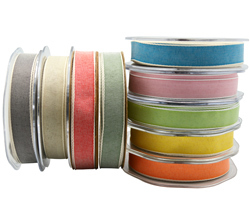 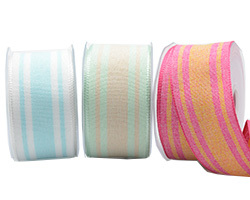 Pretty colours in grosgrain. 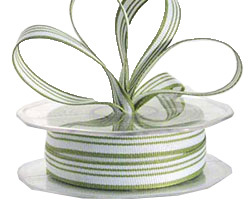 Available in Green/White only. 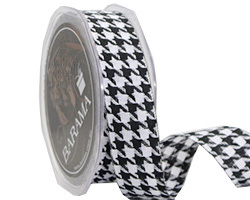 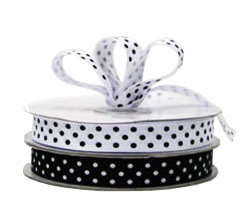 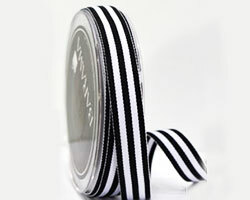 A striking grosgrain ribbon, either White with Black dots or Black with White dots. 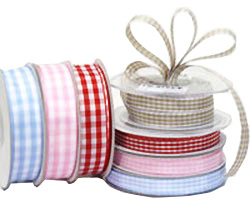 Traditional Gingham checks in Taupe/White, Pink/White, Blue/White & Red/White. 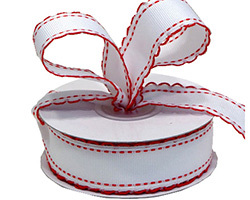 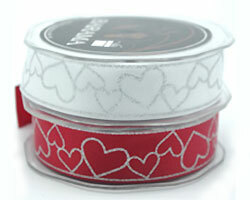 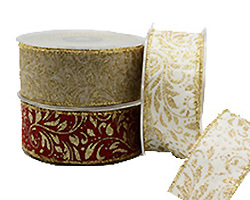 A simple, yet striking White grosgrain ribbon with Red trim. 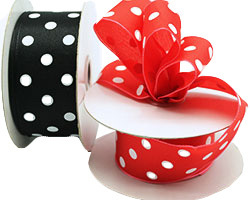 A wired ribbon in classic spots. 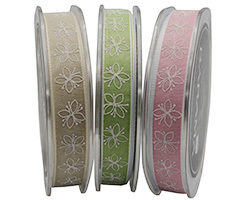 A pretty flower print on a linen style ribbon. 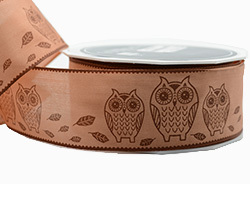 This owl is wise but also very cute. 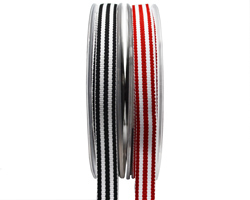 Wire edged.